If you live in Princeton and are looking for seamless gutters with a 100% lifetime warranty, professionally installed, at an affordable price…call Rain Master Seamless Gutters! 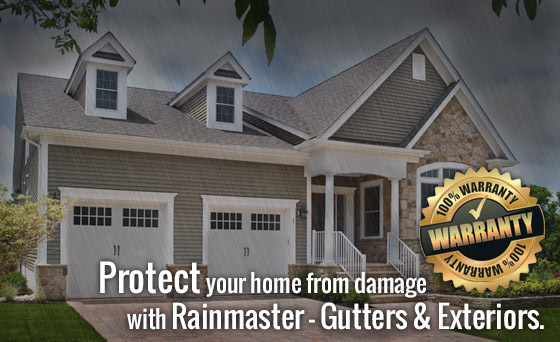 Rain Master Seamless Gutters and Exteriors is a local, family-owned business whose goal has always been to provide you with the best in quality products, prices and services. We are a year around business, so we are always available to handle your gutter installation or offer service in Princeton. Our installers have been fully trained and have years of experience in custom gutter installations. Over the years we’ve installed thousands of gutter systems for homeowners and businesses from Princeton to the surrounding Minneapolis and St. Paul suburbs. Each installation is custom designed for optimum performance and carefully installed so it can manage our severe weather. Rain Master uses only the best in rain gutter technology, with our fluted bottom design that improves gutter strength, while also giving it a decorative look. We also use Raytec hanger brackets that are known to be the strongest hidden hanger bracket available in the industry. This proven combination is designed to withstand both ice and snow build-up from the harsh winters we have here in Princeton, Minnesota. Our team of professionals is ready to personally answer any of your questions or schedule a free estimate at your Princeton residence. We promise to return your call within 24 hours and be on-time for our appointment with you, plus we also offer a 100% lifetime warranty for your peace of mind.